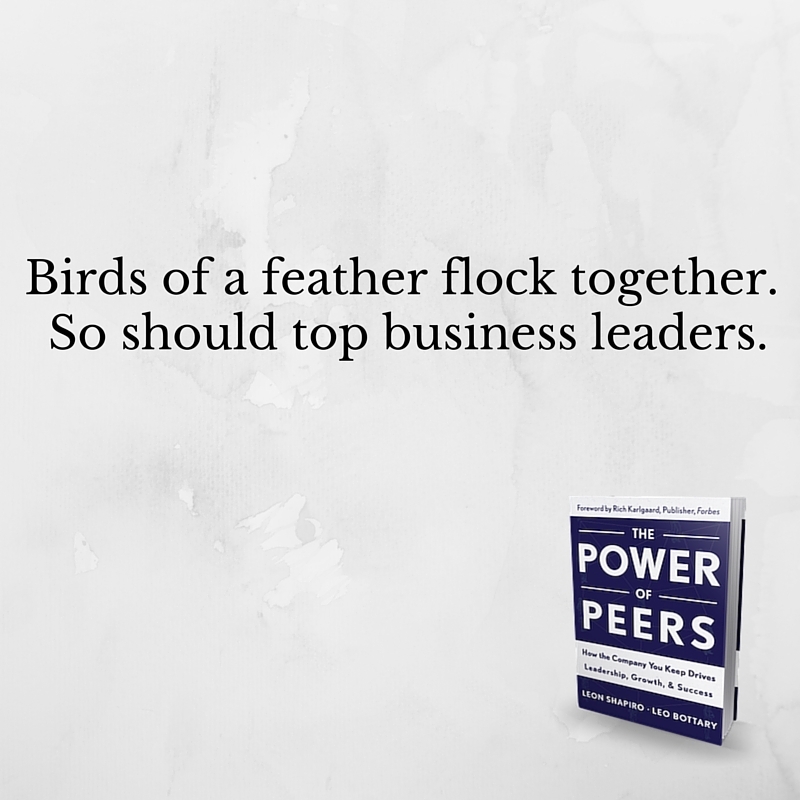 Peer Advantage programs will help CEOs and business leaders help each other in ways they simply won't find anywhere else. ENCINITAS, Calif. - Oct. 3, 2016 - PRLog -- As trust in institutions continues to erode, business leaders will rely on one another more than ever to meet the complex challenges of a fast-paced world. 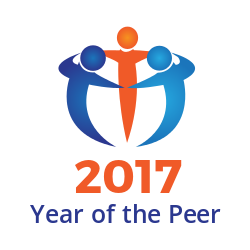 It's why 2017 will be the Year of the Peer and why Peer Advantage programs will be an increasingly popular offering at business conferences and company training events around the world. Leo Bottary, author, speaker and educator, announced the availability of three new peer advantage programs to help CEOs and business leaders help one another. "Peer influence is something you've experienced your entire life without giving it a second thought," Bottary said. "You'll find that if you give it a second thought and you're more selective, strategic, and structured about how you engage your peers, you can turn garden-variety peer influence into peer advantage. To face the challenges of an uncertain future effectively, we'll need each other more than ever. Peer advantage is what's next. In five years, it will be as common to the business lexicon as emotional intelligence!" Who You Surround Yourself With Matters is a one-hour keynote that covers the pervasive nature of peer influence, the 4 ways we engage our peers, the difference between peer influence and peer advantage, the 5 factors that make peer advantage possible, and a framework for improving collaboration. Bringing Peer Advantage Inside Your Organization is a two-hour workshop that draws content from the keynote and also includes group exercises designed to harness the power of the peers in the room so they can identify opportunities that will inspire higher performing teams within their organizations. Harnessing Peer Advantage to Your Advantage is a three-hour program for CEO Peer Advisory Groups or Executive Leadership Teams. Using the 5 factors for peer advantage helps a group identify gaps that are adversely impacting higher performance and create an action plan that inspires an even higher standard of excellence going forward. 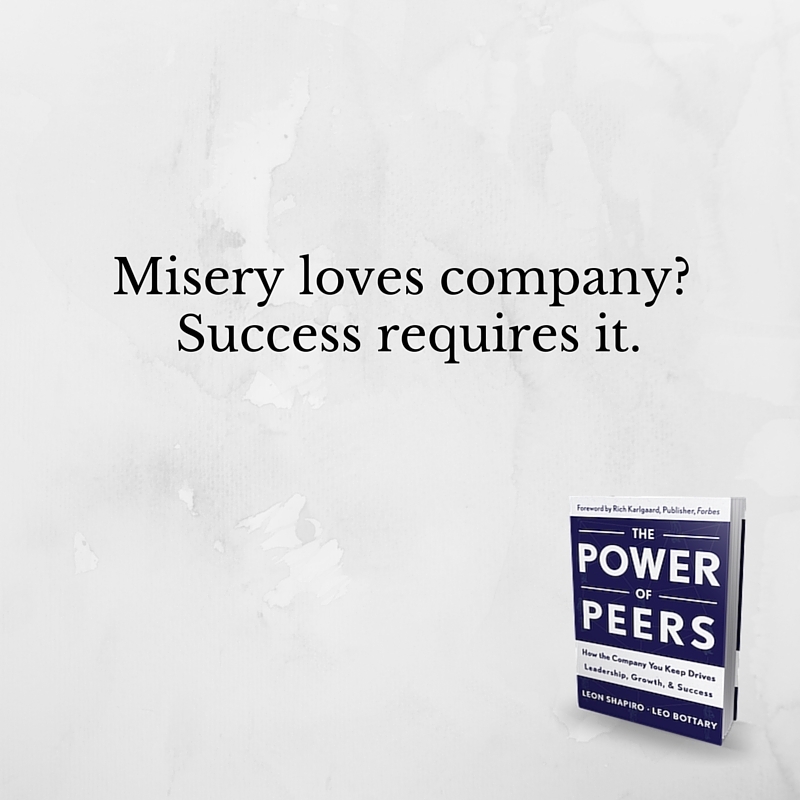 To learn more about peer advantage, read The Power of Peers: How the Company You Keep Drives Leadership, Growth & Success and visit leobottary.com where you can review more than 50 blog posts on the topic and schedule a 2017 program for your next conference or company event.